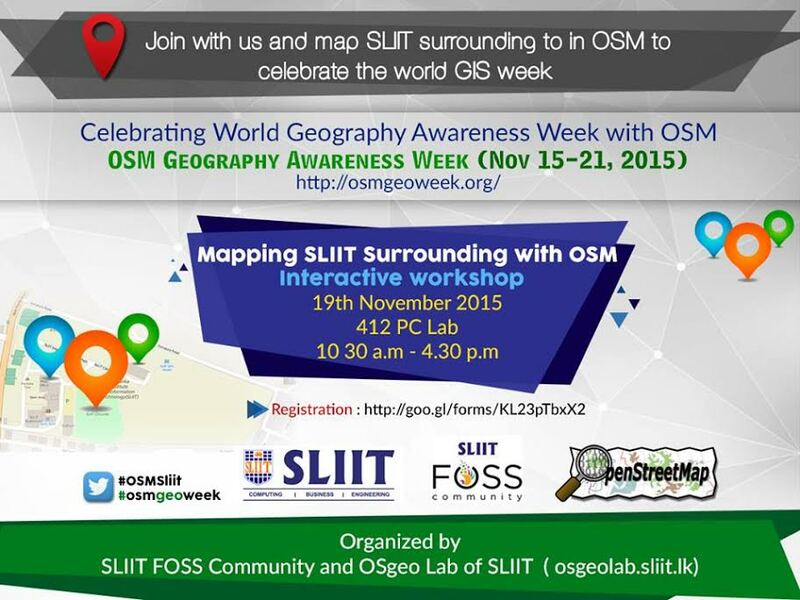 A mapathon to celebrate world geography awareness week was held at SLIIT on 19th November 2015 . It was organized by the FOSS Community of SLIIT & the OSGeo Lab as a interactive session and conducted by Mr. S . Suthakaran & Mr. Malinga , OSM experts who are working currently on disaster management related project in Sri Lanka.